What Can I Do To Stop FGM?… Some Practical Suggestions For Activists In The U.K.
I’ve been asked to make a short presentation at the Symposium to End FGM in Britain held at 55 Tufton Street, London on 31 January 2019. My allocated task is to present some practical suggestions about how activists can take things forward; and I have interpreted this in a general way, rather than as a clinician, lawyer or someone in any other specific position. These are my first thoughts, seeking to find something for everyone who would like to join us in making FGM very firmly history. Strategy covers a lot of different types of action, from national or even global and very general, to specific and local. Everyone can do something to help stop FGM and other VAWG (violence against women and girls) and HTPs (harmful traditional practices). In this note I have explored beyond the statutory or Multi-Agency approach, looking at situations where different people might take action and be involved in practical ways. Stop talking about ‘how long will it take?’ and start asking ‘what resources / support do we need?’ to eradicate FGM in the UK. Support good, clear data collation (which can be anonymised) and research to help answer this question. Lobby for what’s needed and encourage others to collaborate, with their views too, when you lobby, whether as someone ‘in the field’, or simply as a member of the public. Recognise that FGM comes in many forms; we need to know about these many different experiences. No-one can tell all the stories. 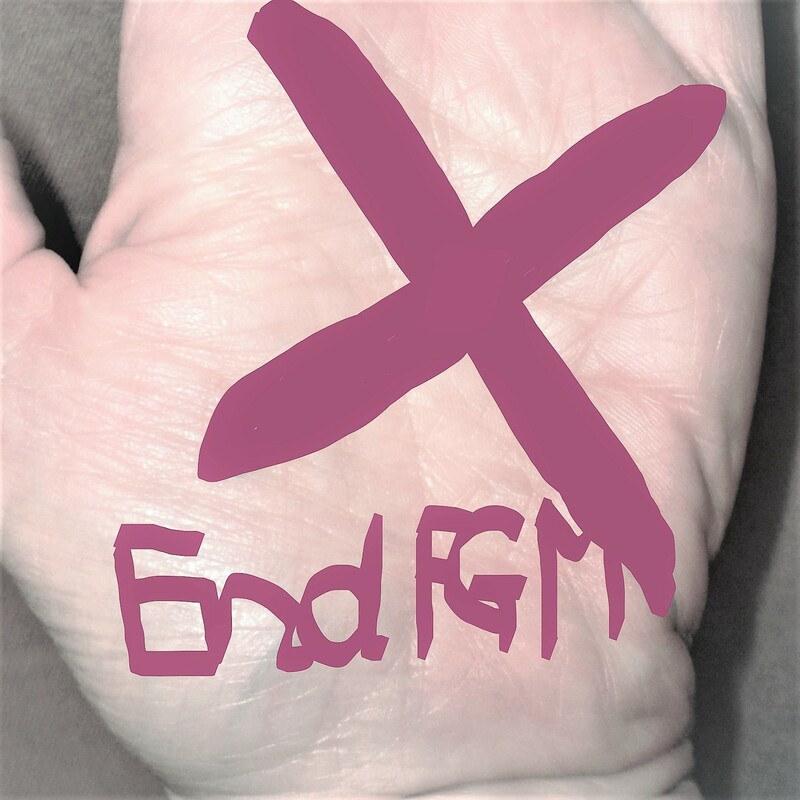 Ensure adequate training for all who work with FGM survivors, families and possible victims. Anyone can ask what training people in their locality have received, and whether this is enough. Insist that those with safeguarding responsibilities have clear, secure frameworks within which to report girls at possible risk of FGM; emphasise their responsibility is just to report, not to take action, and make sure members of the relevant communities understand this too. Acknowledge, and explain to others why, FGM is an economic crime as well as a human rights and child abuse; it’s not a ‘cultural’ practice, but a cruel historical tradition. Local terminology may help in community settings but avoid euphemisms: the WHO and UN, call it F. G. ‘Mutilation’ in formal contexts (more on this from the InterAfrican Committee in the footer below). Find ways to ensure that ‘professionals’ and ‘activists’ / ‘volunteers’ are all respected, properly supported and resourced appropriately. None of us can do this without the others; work together. Remember that everyone seeking to eradicate FGM has specific roles and expertise; nobody knows, or can do, everything. Be aware of and, if you are actively involved in it, support your local safeguarding children board (LSCB) as a team, creating occasions to bring different players together. Identify local and regional gaps in provision (psychological support, reconstruction if wanted, etc) and ask about which measures can be put in place to best value, in what priority. Who has the required information? Who will lead here? If you are actively engaged in work around protecting children and vulnerable adults, be sure to look after your collaborators and yourself; none of us is entirely shock- and exhaustion-proof. We can only be effective if we are also in ourselves okay. there is the political will and top-level leadership (and direct accountability) to deliver the programme. It is clear therefore that the first imperative for eradicating FGM in the UK is to lobby for the requirements above. Lobbying needs to be done by everyone – survivors, activists, professionals, members of the general public, at every level and across the media and across the spectrum of service delivery. Everyone, wherever they are, can do something to keep public attention on ending FGM. Information on FGM is of very varying quality in the UK. We are a country with many different diasporas, where many different communities have many different practices. In some parts of the UK quite a lot is known about how FGM happens, and via which tradition it occurs – age at FGM, type of FGM, sort of ceremony (or not), which people actually do it, and where (UK or somewhere else? ); but in other UK locations there is no certainty about any of this. The ‘Red Book’ would be a good place to start, with a record of whether an infant may have had FGM, or that it is clear she has not (baby boys already have genital inspections; and routine recording of a girl’s intact status might even prevent later harm). As these records become digitalised, anonymised data can also be aligned with later information about FGM status. Clinicians must be trained to complete the required official medical records properly. (As many clinicians observe, asking for that information can be difficult, but it’s necessary for the protection of vulnerable others in the future; and it’s a legal requirement. Our task now is to determine the most patient-comfortable way to do it properly.) Ideally, these data should be enhanced by further research; without the data, we won’t be as effective as we should in prevention. The initial responsibility to take such work forward lies with the Department of Health and Social Care, alongside NHS Boards, lead clinicians and local research units and universities. There is no part of the UK where FGM isn’t found. It follows that in every location formal training is necessary for clinicians (including GPs), police officers, social workers, teachers and others with regulatory (mandatory) responsibilities. Mandatory reporting: But still many professionals and carers are nervous and unsure about what they must do if they have concerns about possible FGM (or other abuse). Will they be seen as interfering or disrespectful? What if their fears are unfounded? It is up to those in charge in very organisation to ensure that there are simple, confidential ways to share concerns about possibly at-risk children: the extent of this obligation is defined in law, but the processes are often unclear to those who must follow them. Who is the legally required named person? What happens if s/he is away? Who will decide what, if anything, to do next? What signs suggest that FGM has occurred, or maybe is about to happen? LSCBs: And how effective is safeguarding anyway? Local Safeguarding Children Boards are very under-funded and are do not actually require the attendance of all interested bodies. A good Chair can however ensure that these boards are co-ordinated and effective – and aware that local authority borders are not in reality a barrier for those who wish to go off the radar in order to procure illicit harmful activity. Inter-board collaboration (ideally at national level) is necessary to stop children being hurt. Local activists / survivors: The work of local community activists (including survivors) is invaluable; but it should not come ‘free’. There are almost inevitably tensions between those who have professional roles in safeguarding, and those activists who campaign on the ground within their own communities. Neither can operate well without the other, but there are often confusions about who should be doing what – and with what resources and support? These issues must be acknowledged and resolved on a practical day-to-day basis by the people involved. Local knowledge: Survivors and other members of communities in which FGM / other HTPs occur have real knowledge about how and ‘why’ the practices occur. It is essential that their insights and advice is properly shared, with due acknowledgement (unless the person providing the information chooses to be anonymous). Nonetheless, those embedded in their own communities may be unaware of the details of other practices elsewhere; FGM takes many forms, at various stages in the life of a girl or woman. (Plus, sometimes men are vague about the detail even in their own communities; but they need to know, and to become part of the movement to stop FGM.) Whose responsibility is it to make sure local information is shared and recorded, and its specificity is understood? Ideally, we would bring together the knowledge of survivors, activists, clinicians, legal professionals, social workers, teachers and youth workers, anthropologists and other researchers to develop a more rounded picture of how and when FGM / HTPs occur in Britain. Some guidance on information sharing is already available, and further initiatives to make this a reality can be local as well as national. It has to start somewhere. There are several groups and organizations in the UK (as well as international ones) which share the objective of ending FGM. The more these are able to collaborate, the better. Similarly, there is some level provision across most parts of the UK to support survivors of FGM and their families. Much more is needed – especially psychological services to address depression, post-traumatic conditions etc, and (for some) restoration – but almost no-one in Britain needs to ‘fight’ or cope with FGM alone. Perhaps one way to draw people together is via a wider knowledge of services and why they are required, to then secure joined-up lobbying. And finally, it is important to frame FGM in its real context. However it is presented, it is ultimately harm inflicted at the will of (some) men, for economic reasons, as is increasingly being recognised– and hence patriarchy incarnate. The objective, at least historically, is to ‘ensure’ or ‘prove’ a woman or girl child’s ‘purity’ so she can secure (be sold in) a financially advantageous marriage – though to whom the advantage goes may be a separate issue. When we see FGM for what it is – a hurtful crime often committed by family members whose perceptions are very different – it is clear that language in professional and formal discussions is important. Of course euphemisms and local terms may be more helpful when talking privately or in small groups; but in formal settings FGM is, as the United Nations and others insist, just that: Mutilation. In facing up to the euphemisms we also challenge the practice of FGM which harmed, sometimes destroyed, the lives of so many women and girls over so many centuries. Whoever we are, we can take this message respectfully everywhere – in the media, in our communities, schools and faith organisations, and in political discourse – that it needs to go.